How Do I Add the News Feed Widget to My Dashboard? /Enterprise Dashboard & Widgets /How Do I Add the News Feed Widget to My Dashboard? Setting up the Dashboard to show all relevant updates will help users with optimal productivity. 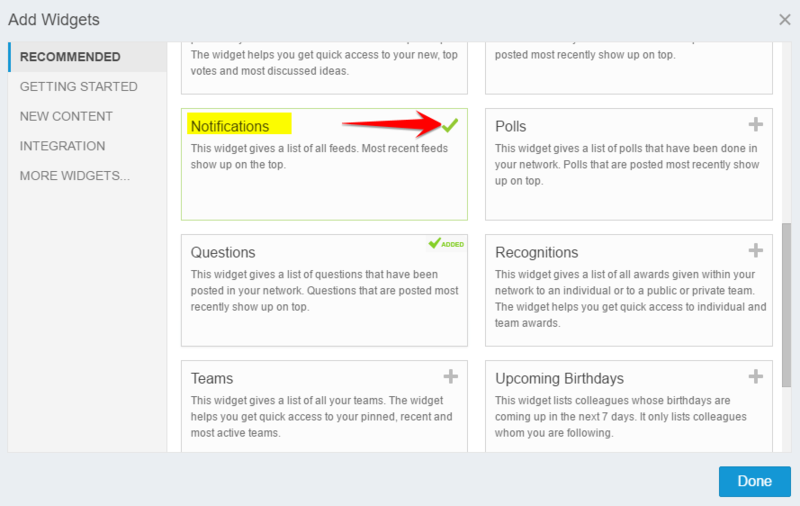 By adding the Notifications widget to the Dashboard, you will see the most recent notifications from your News Feed without leaving the Dashboard. 1. From the Home page select “Customize” to select the widgets you would like to add. 2. The Notification widget is under the Company category. 3. 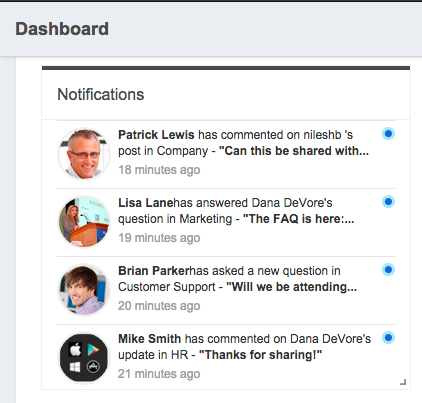 The most recent notifications will now show on your Dashboard. You are able to drag and drop the widget to a different location or change the width or height. 4. To remove the widget, click the gear icon in the top right of the widget. 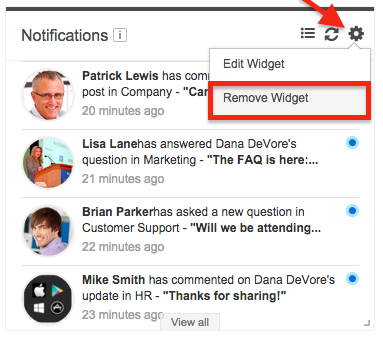 Network Admins are able to add this widget for all users in the Admin Portal. To select the default widgets for all users navigate to Admin Portal > Domain > Home Page > Customize and select the Notification widget. How to Add Rss Feeds in Mangoapps? How to Add Twitter Feeds in Mangoapps? How Do I Make My Post Also Be a Must Read? How Do I Follow an Rss Feed from Mangoapps?